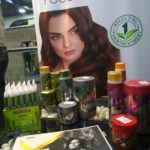 Recycling is the process when you reuse the used materials to make something else. Most of us love to wear denim. 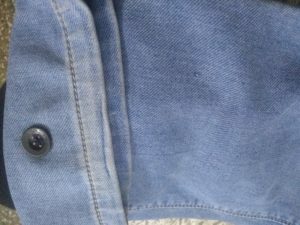 We love to chase fashion and be up to date in fashion but what about old denim. So before you throw them away, think about how they can be reused. Below are some suggestions on how to reuse those everyday bits and pieces. 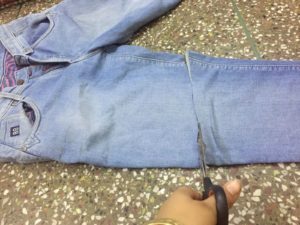 Most of us in the name of reusing them cut short the Denim jeans to make it shorts and use them again but more we can do to make it more useful. Do You throw them or pass on your favorite denim? 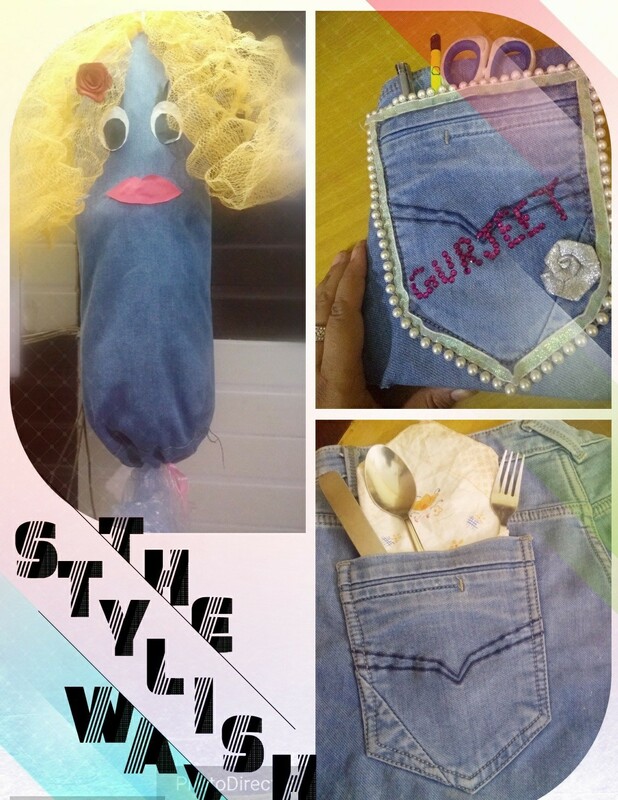 If yes, then I have a solution to recreate the denim magic at home by D.I.Y. 2. 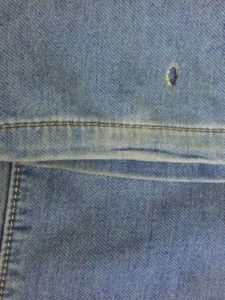 Turn the cut denim inside out and fold 2 inches from one side only and stitch with hand later we will ensure it with a sewing machine. 3. Sew with the sewing machine to make the stitches strong and durable. Make a cut in one side so we can pass the ribbon through it. 4. 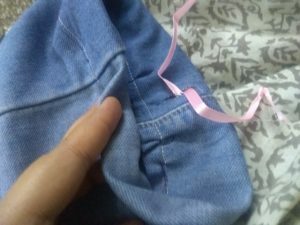 Now you can add ribbon in it and make a tight knot bringing all the denim cloth together. 5. 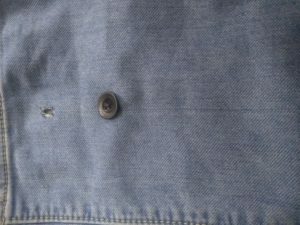 On another side, fold the denim and make a hole for the button. the hole should be on both sides’;; of the fabric. 7. So that you can pass button from both the holes. 9. Decorate it, so it looks beautiful. I love lady figure so make it like a girl. I used paper to make eyes, lashes and lips you can use clothes for its features. 10. 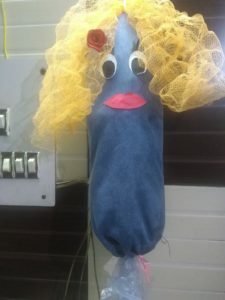 I use my bathing loofah that again is waste for me as I am about to throw but then thought to use it like hairs. I make a hole in the top of the bag and pass a ribbon that holds loofah net and also can use for hanging it. Here you go with my disposable beauty. 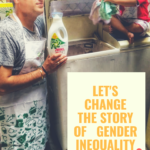 You can pull out the disposable clothes or plastic bags from the bottom and add on the plastic bag or clothes from the top. It sounds weird but it’s not at all weird. Cut down the denim which you can use its pocket and flaunt it on your dining table. 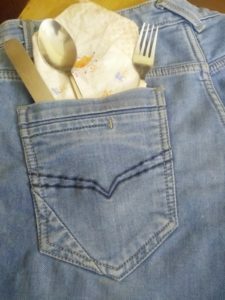 Use denim pocket for fork, spoon, and napkins. I just love the new look of my diary. Isn’t it so cool? I am sure colleges student will love it. Cover the book with denim jeans, jacket whatever you like. Then you can decorate it as per your creativity. 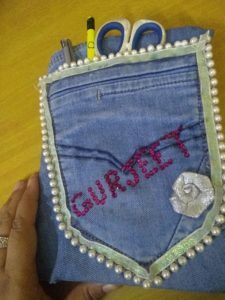 You can give personalized look by adding your name with studs, fabric colours or beads or stitch your name and use the pocket for pencil and pen. 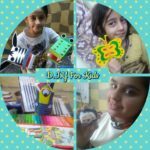 You can check out more D.I.Y here made by my little expert. 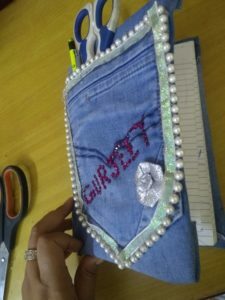 I hope You like the Denim reuse and I love to know your Ideas which I can add in my list too. The ideas are cool and useful. Thanks for sharing. Denims are becoming waste these days. These tips would help us. Denims are a constant waste these days. Dining table cutlery holder looks so cool. Lovely and cute DIY. Definitely useful would like to make a wrap for my favourite book. This DIY looks so cute and awesome. You really did a great job on this. VEry hands-on. Wow! that looks really good. 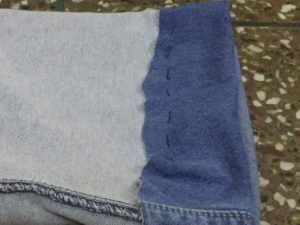 DIY denim. You really did a great job on that. How cute are these! I have lot of denim lying around that i don’t fit into ( embarrassing, yes). I should do something with them! 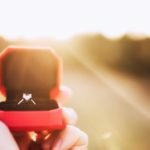 These are some amazingly creative ideas! I have some old denims lying at my house that I was planning to donate. 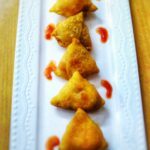 Could try some of these. Thanks. I loved how you repurposed your jeans.I need to do more of this. 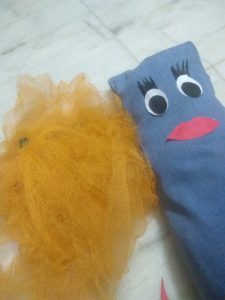 These are some wonderful DIY ideas and let me try with my kids during our craft time. I love doing DIY stuff. The denim book cover excited me a bit. Will try that with a spare denim and share with you. Nice post. 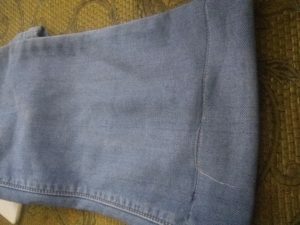 Wow… Awesome DIY… I had no idea that an old denim can be in such great ways . Never knew we can do so much with denim. Very nice ideas and actually doable with a little effort. Denim disposable bag looks great. Loved the creativity. One can do so many things with denim pants. Great ideas. 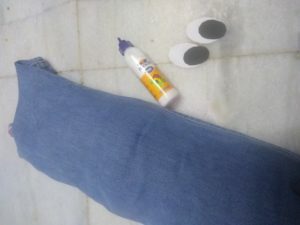 OMG you have done such a fabulous diy ..it’s too good I loved the plastic bag of denim ..
Wow such amazing diy ideas to reuse old denims! Finally I can put my worn out jeans to good use other than throwing away. Great DIYs. This is a great way to recycle your old denim and put to them to some better use. This is some nice DIY designing using old denims. Nice and creative post, I like the idea of doing it myself. thanks for sharing. Gurjeet I just love your DIYs. You are so creative girl. Love that cute doll made out of the old demin pant. I’ve always wondered what to do with old jeans. Thanks to you I have now some cool ideas. The disposable clothes basket with denims and loofah is such amazing creativity. I LOVE diy projects and this one looks super cool. I would like to try this at my home and will share with you how it turns out. These DIY ideas look so cool. Thanks for sharing. I can’t wait to try these myself. I will also involve my son who has holidays right now. Great way to keep him busy. that is such an innovative way to reuse jeans. my son just outgrew his jeans, i am sure now i know what to do with his. So cool! I’m quite a lazy person when it comes to DIY activities but I’m going to try the dining idea. It’s actually quite superb! This is really an awesome way to reuse things. I love this quick and efficient DIYs. Will give it a shot. 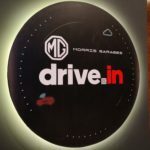 Wow, such amazing ideas. I could’ve never thought of reusing my old denim in such a cool way. I am definitely going to get creative with my old stuff now. hey, its so nice! The way you have made the disposable container from denim is amazing. Even the book also. Loved it. Never thought of making a bag with old denim. This was a nice and well illustrated article. Would definitely try it out. Thanks for sharing the steps by step tutorial. Would love to try out soon. You do need to first be sensible enough to post a link in the right place on Indiblogger. 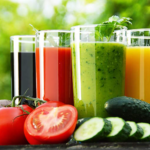 These tactics will not get you far.